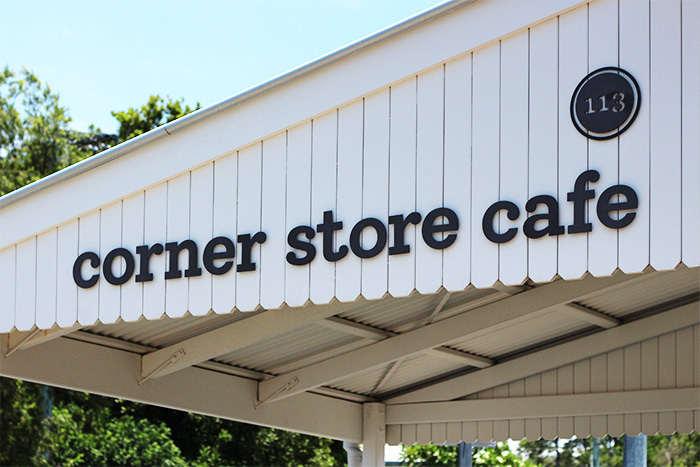 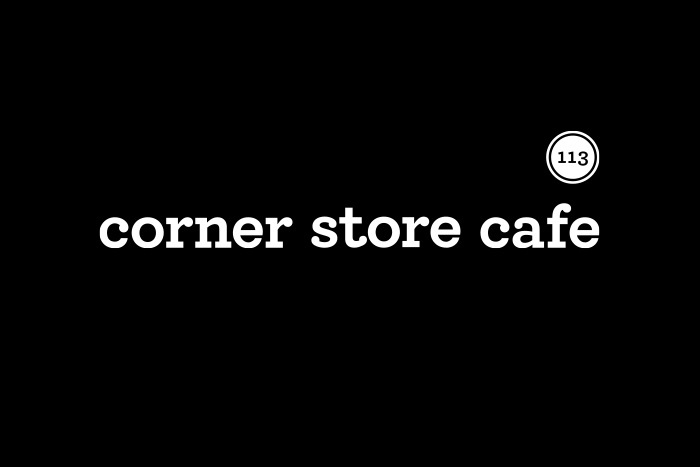 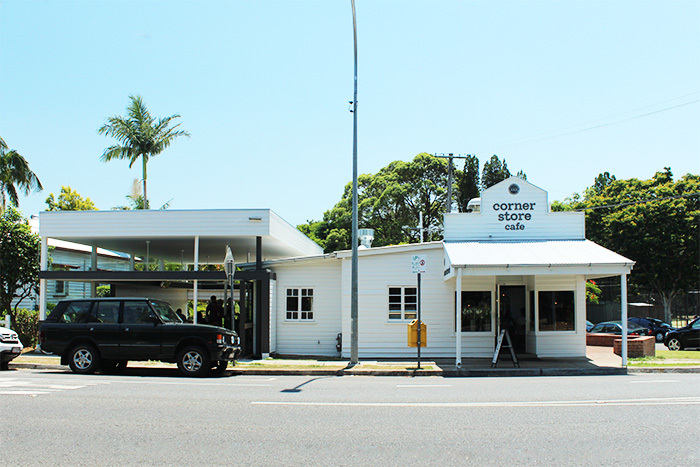 Set in an old Queenslander with a contemporary extension and fit-out designed by architects Richards&Spence, Corner Store Cafe at Toowong is a delightful mix of the old and the new. 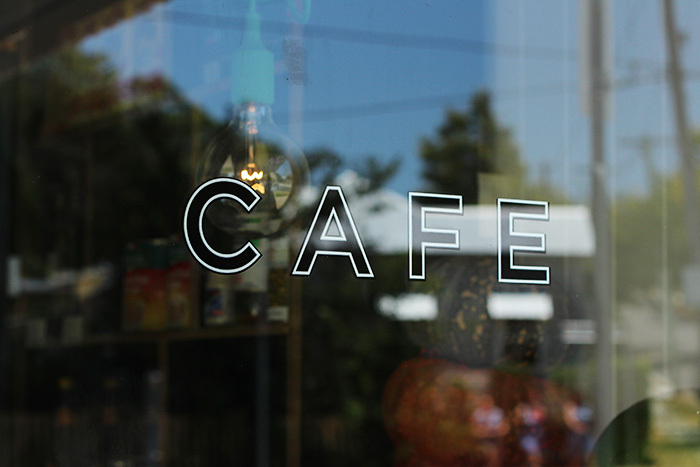 Two typographic arrangements of the cafe name and street number were designed to suit the unusual shape of the building facade and awning. 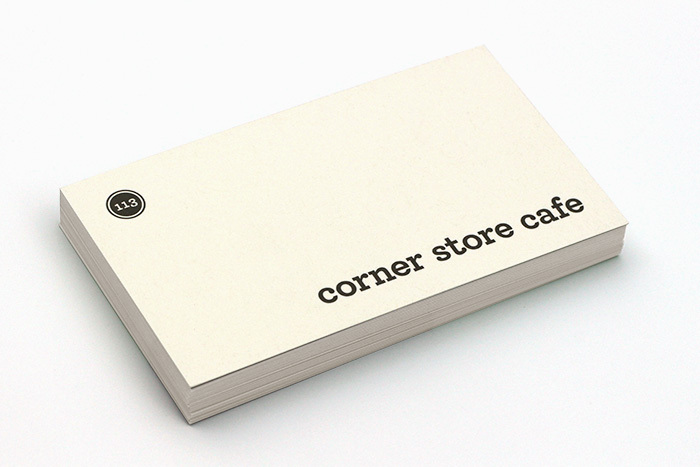 Signage is simple and cut out of steel, while business cards and table reservation cards were printed on an economical, traditional-feeling paper stock in one colour. 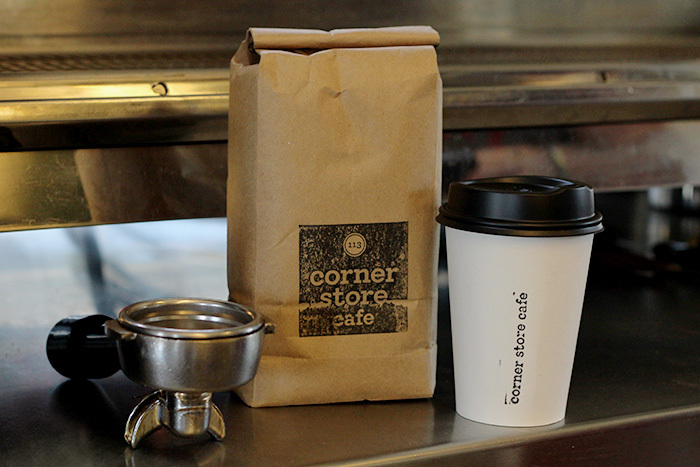 Stamps of the logo were created to brand coffee cups and packaging, adding a personal and old-world touch.